Forest Holidays are offering British Orienteering members 10% year-round discount off holiday bookings from 1st April 2019 to 31st March 2020. Escape to a tranquil self-catering cabin with private hot tub with Forest Holidays and enjoy 10% discount year round - the perfect getaway for families, couples and friends. Choose from 7 locations across England, 2 in Scotland and newest location Beddgelert in Snowdonia, all set in idyllic British woodland. You can pack your days with action and adventure, hiring bikes or trying your hand at canoeing, archery or a range of other pre-bookable activities. Or perhaps you prefer to luxuriate with a glass of champagne in your own private hot tub under a starlit sky, soaking up the serenity of the forest around you or enjoying a soothing in-cabin spa treatment. The freedom, the fresh air and the forest are yours to enjoy at your own pace, whatever the season. And Forest Holidays’ pet-friendly cabins mean you can bring your dog too! With over four decades of experience in outdoor retail, we offer one of the most extensive and comprehensive ranges of outdoor clothing, equipment and accessories. Selecting from over 250 top quality brands allows us to bring you the latest in outdoor technology and styles. From hiking to camping trips, walking boots to waterproof jackets, wherever your adventures take you we have the right kit. British Orienteering members receive 15% off retail prices when placing their order. You can shop in-store, online or by mail order. *Full T&Cs apply. Not to be used in conjunction with any other offer or discount. Selected lines are exempt. Only valid upon production of your British Orienteering membership identification in store or use of valid discount code online. Offer expires 31.12.19. 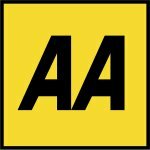 SkyParkSecure.com is one of the UK's leading airport parking providers, their website allows you to compare & book airport parking at any UK airport. Over the last 15 years, SkyParkSecure has helped well over 3 million customers park their cars saving them over £7 million in the process. Members can receive up to 20% discount. British Orienteering has negotiated with Hospital & Medical Care Association (HMCA) to offer discounted rates for medical plans, dental plan, cash plans, personal accident plan, travel plan, income protection and vehicle breakdown products. HMCA only offer medical plans to membership groups and can offer up to a 40% discount off the underwriter’s standard rates. This is a comprehensive plan which provides generous cash benefits for surgery and other charges. SportsShoes.com is the UK’s No1 running and fitness retailer established in 1982. SportsShoes offer the biggest selection of outdoor clothing and footwear, including all of the major, but also niche brands including Inov-8, Walsh, Ronhill – all at the best prices! British Orienteering members receive an extra 10% off and Free Standard delivery when placing their orders. Adhering to the passions and principles of our founders, Runners Need help you achieve your personal fitness goals with the latest products from world-leading brands, friendly, expert advice and a personal service that you can trust. We believe that a great running experience begins with the right shoe, so our staff are trained to offer free video gait analysis and professional fitting services in every store. But we care about more than just kitting you out with a pair of shoes – we source the latest innovations in performance fabrics and footwear, high-tech gadgets and training and nutrition science so that you get the most out of every run. If running is part of your holistic lifestyle, our range is versatile enough for the gym, yoga, Pilates and spin classes as well. Whatever your personal fitness goals are, we’re here to help you every step of the way. There are lots of reasons why we love to ride bikes, whether it’s pushing ourselves to the limit, enjoying time with friends, time for ourselves or the simple pleasure that comes from gliding past a traffic jam in the morning. At Cycle Surgery you’ll find everything you need to get the most from your ride. We only stock high-qualityhttps://www.cyclesurgery.com/stores.html products that we would be happy to use ourselves. Whether you go in-store or online you’ll find the support that you need, from information on the latest products and offers to expert technical advice on servicing, maintenance and repairs. As fellow cyclists, we understand the importance of your local bike shop, which is why every one of our 30 nationwide stores is staffed with dedicated enthusiasts who know the area, know the customers and know bikes. Why ever you love to ride, we’re here to help. British Orienteering members receive 15% off retail prices when placing their order. 10% discount only on bikes. You can shop in-store, online or by mail order. Enjoy the best of Butlins and our best web deals, plus an extra £20 off! Enjoy amazing Live Music Weekends and our best web deals, plus an extra £20 off! Butlin’s Live Music Weekends provide you and your friends a great getaway to relax, have fun and enjoy good music and good times. Butlin’s three seaside resorts; Bognor Regis, Minehead and Skegness play host to a range of 3-night weekenders that cater for all musical tastes as well as headline tours and sporting events. So whether you enjoy anything from Pop to Disco to smooth Soul or even if you’re looking for a specialist weekend featuring great headline acts performing live, a Butlin’s Live Music Weekend could be the perfect getaway. YHA is the largest budget bed provider in the country. British Orienteering members can receive 10% off YHA accommodation bookings. British Orienteering members can also receive 50% off when joining the YHA. The offer is only available online and to new members and applies to Individual non-Direct Debit membership categories. Established in 1982 by a small team of dedicated enthusiasts, Snow+Rock made its name by challenging the norm, helping to shape the landscape of the outdoor industry by introducing innovative brands, new technology and daring design. The team has grown, but our philosophy remains the same; to provide our customers with the finest products from the most progressive brands, while delivering the highest level of service and expertise. Our enthusiasm for the outdoors is present all year round and every member of staff from our stores to our product teams is on-hand to offer friendly, educated advice, ensuring that our customers enjoy the best possible experience. Check out our fantastic spring summer range in-store and online now – from some of the world’s most famous brands including Roxy, Quicksilver, Norrona, Patagonia, The North Face and Fjällräven. 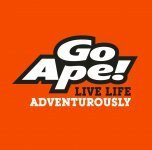 Go Ape is an award-winning Tree Top Adventure course of rope bridges, Tarzan swings and zip wires up to 40 feet up in the trees. British Orienteering Members receive a 10% discount. With over 25 years experience of running clothing and footwear, you'll be certain of the best products on the market. as well as great advice, professional fitting and personal service from the staff at Up & Running. 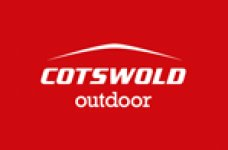 British Orienteering members get 10% discount at all our stores nationwide and online. To find your nearest store go to upandrunning.co.uk/shops. YourParkingSpace.co.uk connects drivers with parking space owners across the UK. British Orienteering members can get a 10% discount on parking spaces by redeeming the discount code on YourParkingSpace.co.uk. Rhinocarhire.com is a leading car hire broker based in the UK. We offer competitive rates on car hire at over 30,000 locations worldwide from all of the leading car and van rental suppliers such as Avis, Hertz and Europcar. British Orienteering members can receive up to 10% discount. British Orienteering members can receive 20% discount on all purchases made on the Kozi Kidz website. Our family has been knitting great quality socks in Sheboygan, Wisconsin since 1905. With four generations of experience, we are proud of the craftmanship which goes into every pair. We use only the finest materials and patented knitting techniques whilst our family of employees is tirelessly driven by an uncompromising commitment to quality. From our family to yours, we thank you for your custom as we strive to provide pure, American comfort. British Orienteering members can purchase Wigwam Socks website and receive 20% discount on all purchases made. Health and Fitness Education (HFE), an award winning training provider delivering the UK's leading personal trainer course and fitness instructor qualifications. HFE courses combine home-study and weekend attendance, so can learn on your own pace around your busy life. Course practical days are delivered from a wide range of high quality training venues throughout the UK. All HFE qualifications are internationally recognised and certificated by YMCA Awards or Active IQ. 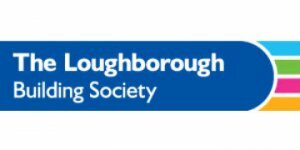 Health and Fitness Education are pleased to offer British Orienteering members a 10% discount off any of their courses. 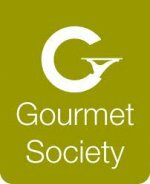 With a Gourmet Society Dining Card you can enjoy fantastic savings at over 3,000 restaurants across the UK, from Michelin-starred establishments to famous names like Pizza Express, Café Rouge and Prezzo. The Gourmet Society Dining Card entitles you to 2-for-1 meals or 25% off your bill – including drinks – at the entire network of participating restaurants throughout the country. To search participating restaurants in your area visit the website. Annual subscription usually costs £69.95, but as a member of British Orienteering you can join for just £29.95. Rieker is a footwear brand whose shoes are stocked by hundreds of stores across the United Kingdom and who own a dozen of their own retail outlets in cities such as Brighton, Sheffield and Bristol. A household name across Europe, Rieker’s award-winning footwear combines style with comfort. Their shoes are made with anti-stress and shock absorption features, which allows them to be comfortable for hiking and long walks. Rieker is also a highly recommended brand in order to prevent problems such as joint pain and athlete’s foot. British Orienteering members receive 10% off all retail prices when purchasing Rieker footwear through the website www.rieker.co.uk. 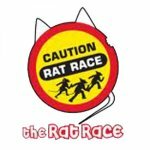 Rat Race is an urban adventure challenge that sees teams of competitors navigate their way around a course that is only revealed hours before it begins. It involves running, biking, abseiling, kayaking, orienteering and much more. The events are fun, fast and totally unique. British Orienteering members receive a 10% discount when entering online. The UK’s largest, independent, family-owned lettings agency, with over 4,300 different properties. British Orienteering Members receive a 5% discount. *Full T&C’s apply. Membership discount only applies when the code is used. Promotion Code discount is only redeemable before 7th February 2019, for holidays that start on or before 7th February 2019. The Promotion Code cannot be used in conjunction with any other promotion codes or Special Offers that may be applicable to the booking. No cash alternative. We reserve the right to alter or withdraw this offer at any time without prior notice.